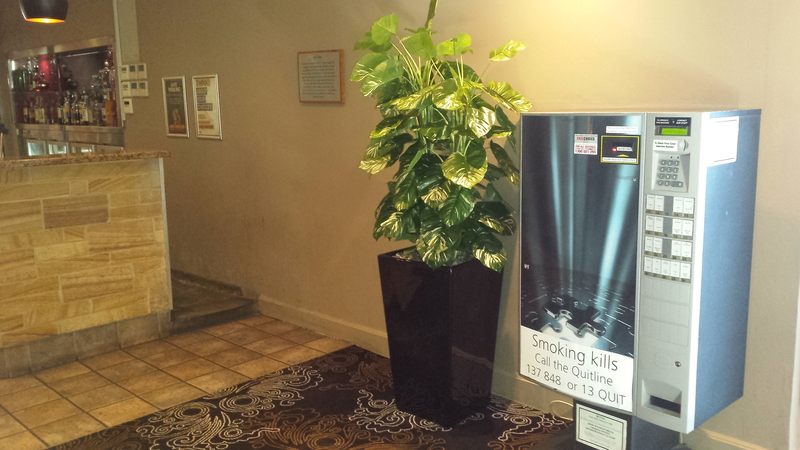 The Doonside Hotel asked Daniel to replace their living plants with his Artificial 1.2m Pothos Totems. We also provided the 75cm Black Tall Wedge Fiberglass Pots. Out with the old, in with the new.. One of these Pothos Totems is real, the other is Daniels Artificial. Can you tell the difference? Pothos, Also known as Devil’s Ivy, Hunter’s Robe, Money plant, Silver Vine, and Taro Vine is a species of vine native to Northern Australia. Our Pothos Totems are made up of 4 vines twisting around a totem, the large green and cream coloured heart shaped leaves make for a very full looking plant. Here is a side by side view of the entryway with Daniels two Pothos Totems. The burst of green provides some life to this area. The 75cm tall wedge pots have a false floor. This makes them lightweight and easy to move around. 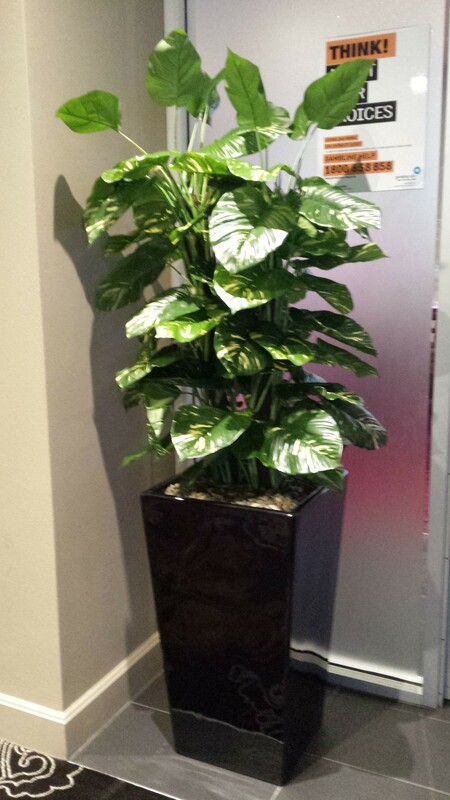 Daniel has installed his Artificial Plants in Hotels, Shopping Centers, Pubs, Clubs, and Peoples Homes all over Australia. 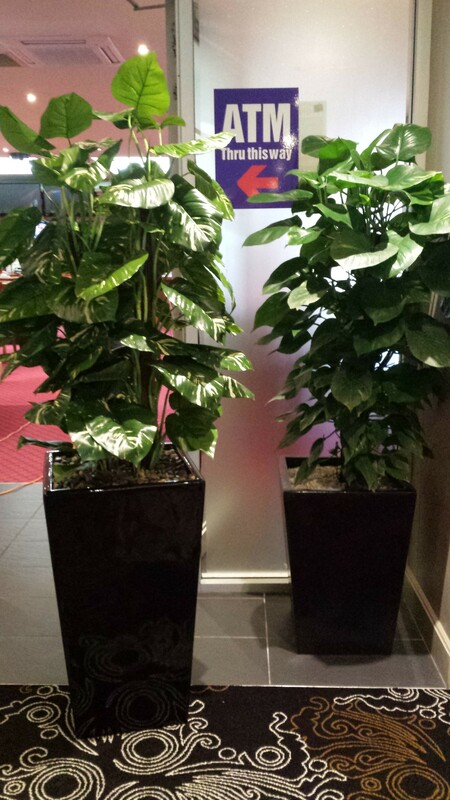 Daniel even has his plants in the parliament house in the Australian Capital Territory. A front on view of the entryway with the two Pothos Totems side by side. this is one of the most used area’s in the hotel. 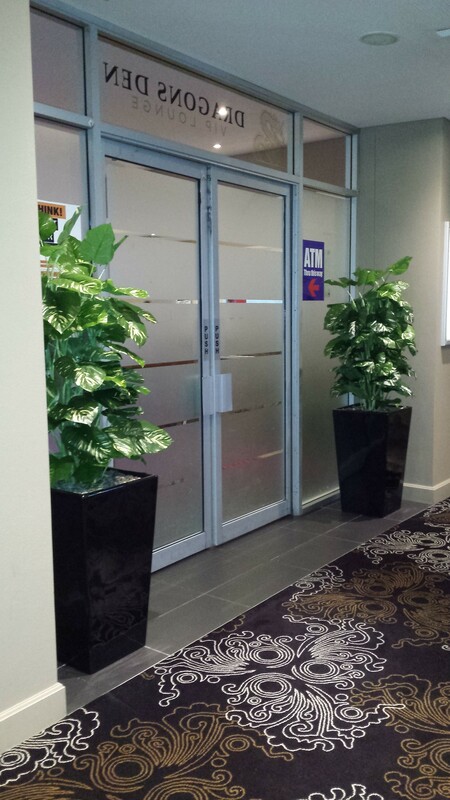 Silk Trees and Plants is the leading provider of Artificial Plants, Ivy Walls, Pots, and Vases in New South Wales. If you would like a Business or Personal quote, please contact us! 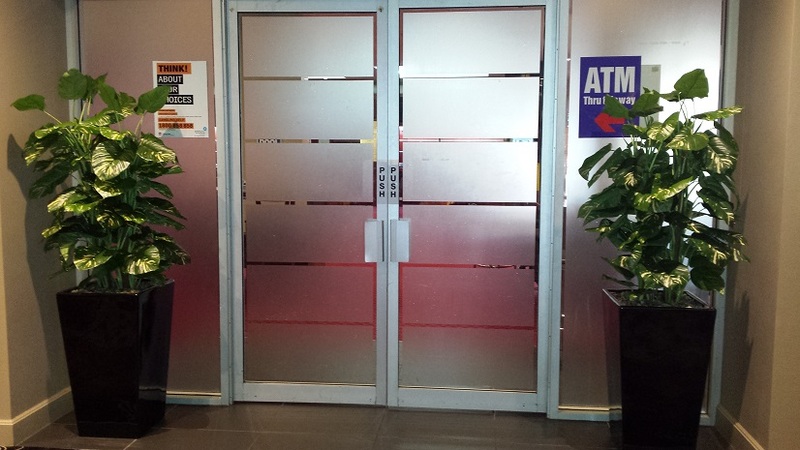 You can also visit our showroom at 81 Hastings River Drive, Port Macquarie, New South Wales.